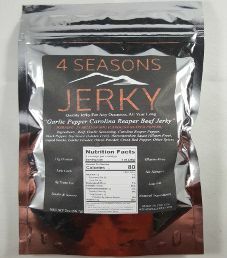 The next review for 4 Seasons Jerky will be on a 2 ounce/56.7 gram bag of their Sweet & Spicy Black Pepper flavored beef jerky. 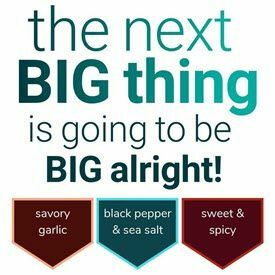 This flavor is described as their spin on the traditional black pepper recipe, where “sweet and spicy” adds a kick to this savory delight. 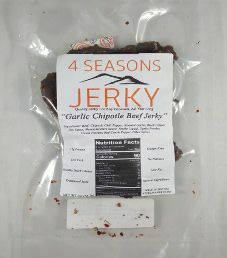 The owner, Thom Le, which is short for Thomas, graciously submitted this bag of jerky for review. 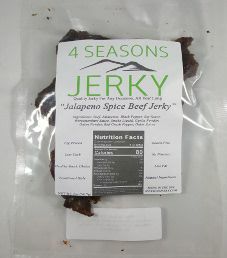 The next review for 4 Seasons Jerky will focus on a 2 ounce/56.7 gram bag of their Jalapeno Spice flavored beef jerky. 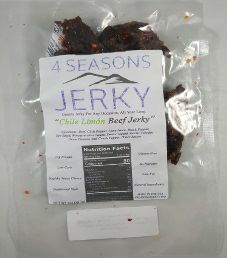 This flavor is described as green with spice and everything nice! 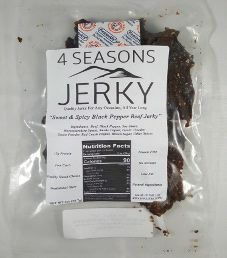 The owner, Thom Le, which is short for Thomas, kindly submitted this bag of jerky for review.